Oleoyebel has been a beneficiary of the "Fondo Europeo de Desarrollo Regional" whose objective is to improve the use and quality of information and communication technologies and access to them and thanks to which they have been able to optimize their presence on the Internet with a new page web that includes an electronic commerce platform. This action has taken place during 2017. 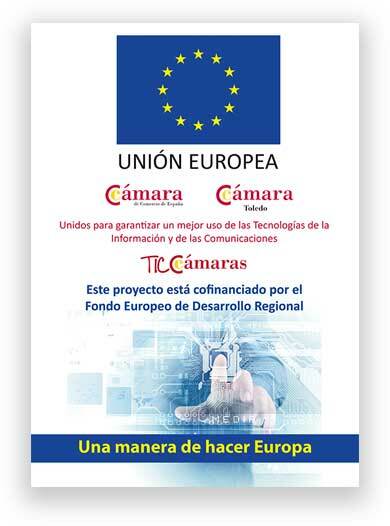 For this, it has had the support of the TICCámaras program of the "Cámara de Comercio, Industria y Servicios de Toledo". Design, development, configuration and implementation of an electronic commerce strategy. Creation of a self-managed and responsive online store integrated with the company's website. Design, development and implementation of a corporate website, self-managed and responsive that can be viewed correctly on any device with a personalized corporate image. Online marketing plan for social media networks. With this, Oleoyebel can offer a better service to its customers, have a better online presence and offer a platform for the sale of our intuitive and easy-to-use products.